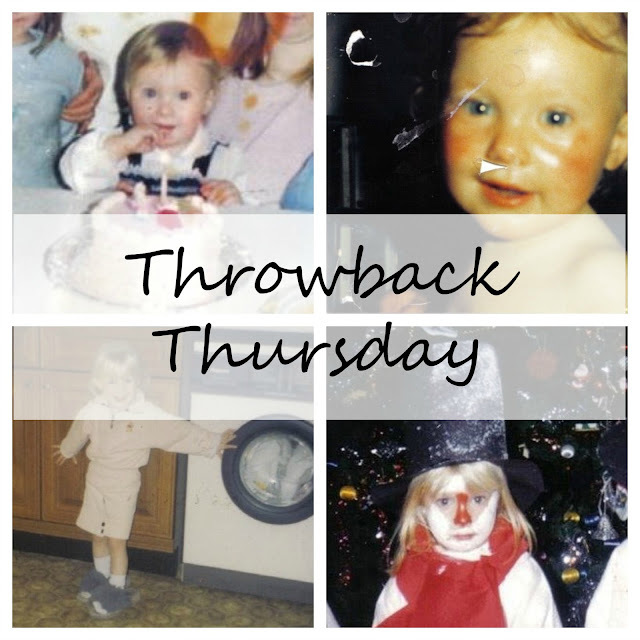 Today's blog post is a bit of a look back on some old photos, hence the title of the post "Throwback Thursday". I've chosen 4 of my favourite photo's of myself when I was a lot younger than I am now, so I will go through each of them one at a time and if I can remember I will let you know exactly what I was doing in each picture. This picture was the day of my 1st birthday, I think I must of had some sort of tea party as in this original photo its just my mum, sister, 2 of my cousins and some old lady...who I have no idea who it actually is haha. I actually don't remember this day in the slightest but then again this was nearly 28 years ago now (oh how that makes me feel old saying that), there was a big handwritten banner in the background that said "Happy Birthday - 1 year today - Claire". 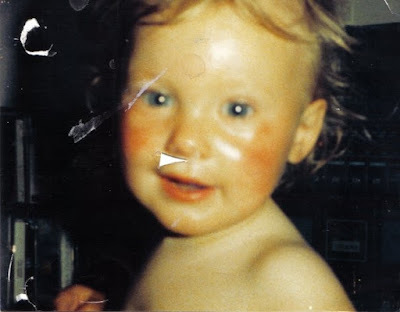 In this picture I remember it so clearly, my cheeks were very red as I wasn't too well, think I may have even had a tooth coming through. But I had this obsession with my Auntie June's stereo and used to always switch music on when I was over there, and you could guarantee I would always put a bit of classical music on. Still to this day I love my music and listen to some kind of music everyday, still even like a bit of classical but just not all the time now like I did back then! This picture is when I used to go over to my nan and grandad's when I was actually in proper contact with them and they actually acknowledged the fact that I existed! 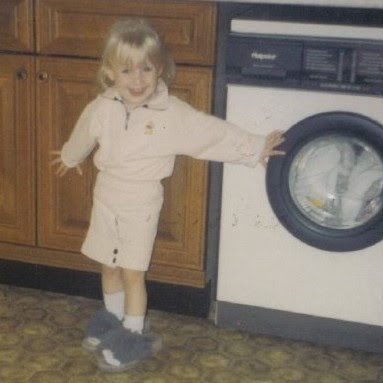 I used to have a thing for my nans slipper and would potter about the house in them for ages and by the judge of this picture I loved to pose for a picture aswell lol. 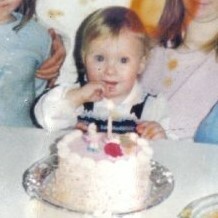 That was quite a cute little outfit aswell even if I do say so myself....my sister had a matching one too. And last but not least, the most embarrassing picture ever! 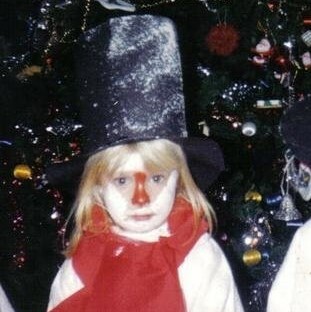 This was for the Christmas school play when I was in primary school, and as you can probably tell by the look on my face, I was not in the slightest bit impressed that I was being made to dress up as a snowman complete with face paints aswell. I had the right hump about this and made sure everyone knew about it aswell. There is not a single photo of me smiling in any pictures I have of me being dressed up like this, what were they thinking haha. What Social Anxiety Really Feels Like! Claire Joanne © . Designed by Templates by Kate.